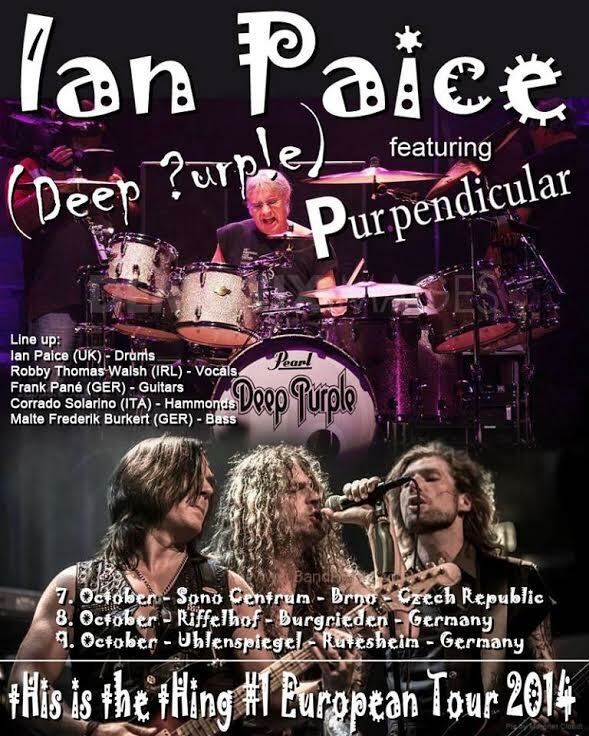 Ian Paice will feature with Purple tribute band Purpendicular on three of their European dates this October. This will be Ian’s third stint with the band. Purpendicular are touring accross Europe in support of their upcoming new album ‘tHis is is tHing#1’. Ian Paice features on the album on a track called ‘Somebody Done It’, which will most likely get an airing at the shows together with surprises from DP Mk3 and other obscurities. Purpendicular’s album ‘tHis is the tHing#1’ will also feature Don Airey, Steve Morse, Roger Glover, Ian Paice and Neil Murray. Posted by Rasmus Heide on Wednesday, September 10th, 2014, filed under News. You can follow comment on this post through the RSS 2.0 feed. You can skip to the end and leave a comment. Pinging is currently not allowed. ohhhh…Nice gigz…Keep on rockin folkz…. When does tHis is the tHing come out? Thought you might like this article. Norwegian Crown Prince rocks out with a local band and plays SOTW. Must have been kicked out of the music store!